Erik Condra’s personal pre-playoff game plan focused on preventing the opposition’s top players from putting the puck net. Two rounds into the post-season, he’s managed to accomplish far more than just that. When it was established that the Ottawa Senators, the Eastern Conference’s seventh seed, were going to face-off against the Montreal Canadiens in the first round of the 2013 Stanley Cup Playoffs, Condra constantly reminded himself of what he needed to do to make an impact. Condra, known primarily for his defensive efforts, has been a success at both ends of the ice. After eight contests, he has seven points, including a three-point game in the series-clinching game five versus the Canadiens. Not surprisingly, Condra’s cellphone has had to work overtime lately, with a flood of texts and phone calls coming through on a steady basis. When Ottawa and Montreal combined for 236 penalty minutes in game three, Condra lost track of how many messages he received. For his part, he managed to avoid the spirited events. After dispatching of the Canadiens in five games, the Senators were tasked with facing the No. 1 seed Pittsburgh Penguins in the semifinals. Down two games to none, Ottawa won a double overtime thriller on Sunday night. 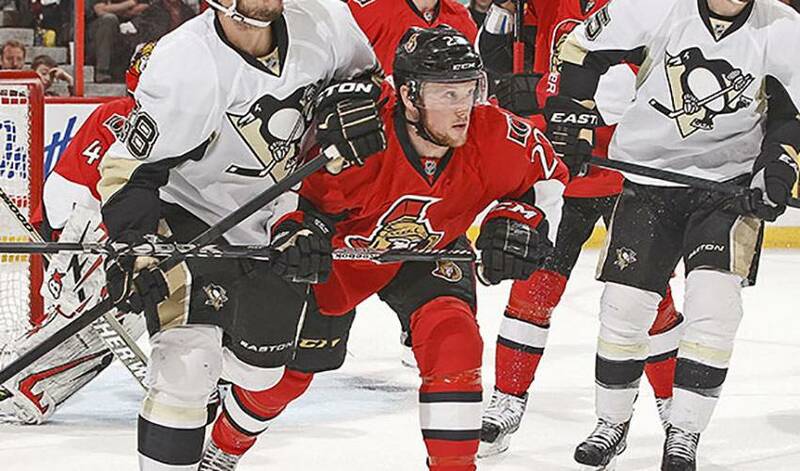 Condra was a force throughout the five periods and assisted on the game-winning tally in the Sens 2-1 win. Rather, the Senators continue to find a way to go forward with contributions throughout the lineup. Including Erik Condra, who has gone above and beyond what his original plan called for.